These images were taken by my wife Sheila at the splendid Los Angeles County Museum of Art exhibit titled "Fashioning Fashion: 1700 - 1915" in November of 2010. 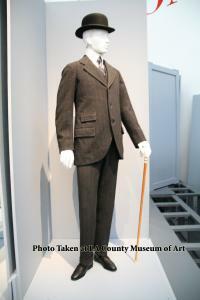 The exhibit ran through March of 2011. 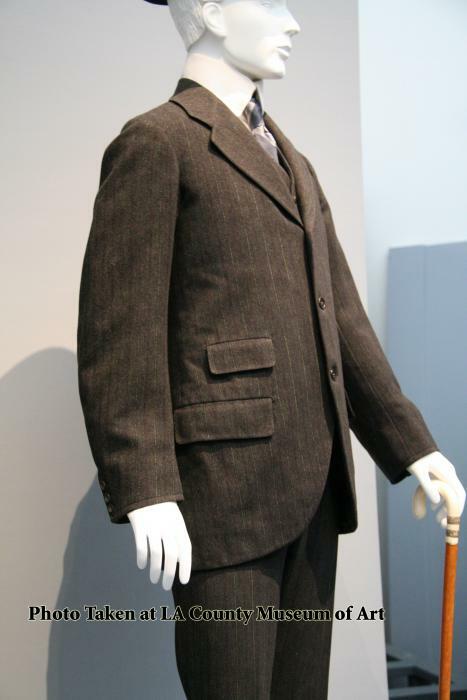 This is a very sober, typical business suit of the early 20th Century. 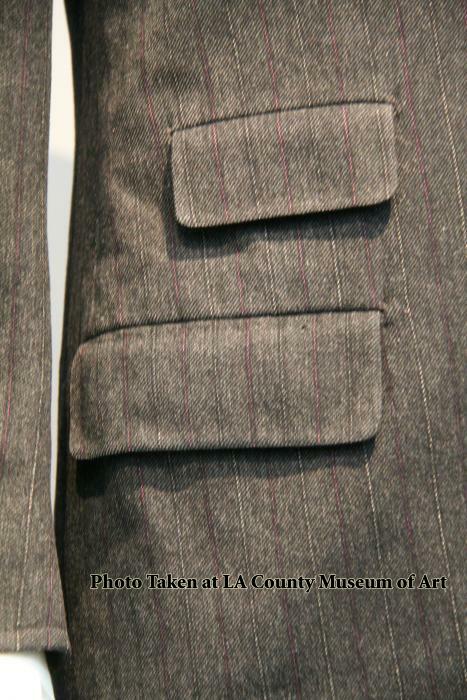 Note the commuter-friendly ticket pocket on the outside of the coat. 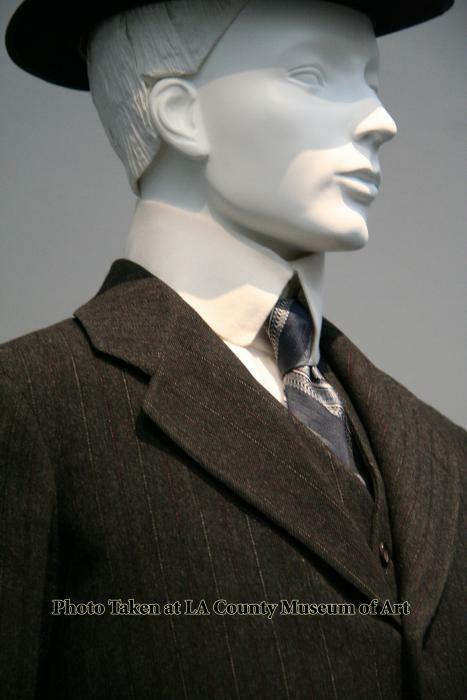 It is distinguished from the sack suits of the 19th Century primarily by the tall stiff collar (probably removable and perhaps celluloid or paper) and narrow necktie. 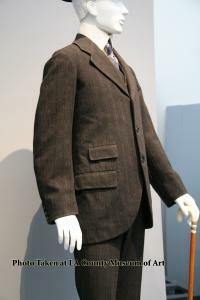 It also has three buttons, in the style of later suit coats, and not the four that were generally seen on 19th Century suits. 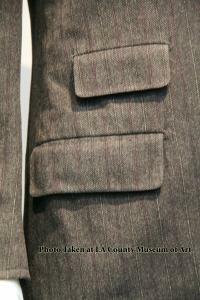 Just barely visible is a typical vest of the period - made of matching fabric with no lapels. Also note the cuffed trousers - another 20th Century innovation.